Counting Macros vs Intuitive Eating: Which is BEST? Confused about counting macros vs intuitive eating? Is IIFYM diet, flexible dieting, and tracking macros for you or should you attempt intuitive eating for weight loss? Here’s how to know which is best for you. I get asked about intuitive eating vs counting macros all the time. When it comes to weight loss and healthy eating, which one is the best? You might think that I only support or recommend intuitive eating since that is what I talk about most in my ROCK Your Dream Body Programs, however I myself have experimented fairly recently with counting macros in order to build muscle and boost my metabolism. It was a fun experience and it has helped me to have an even broader perspective of how there can be a time and place for every “tool in our toolbelt” as I like to say. There are tons of experts that support each side with research and tons of case studies to back up their stance, so clearly there is no one right answer. I’ve utilized both at various stages of my health and dream body journey, and have helped clients with both too. Today I am going to share the pros and cons of both macro counting (which also includes the iifym diet and flexible dieting) and intuitive eating so that you can make an educated decision on which is best for you at this stage of your journey toward optimal health, and weight loss if that is your goal. To understand the difference between the two, let’s first define each. Macro counting is all about tracking your protein, carbs, and fat intake in grams every day. It is similar to calorie-counting but instead, you are counting actual macronutrients. This is not a new concept, it is just a trend that has become popular again. A lot of bodybuilders and fitness competitors use this method to prepare for a show. Intuitive eating, on the other hand, is about listening to your body and its hunger signals. It is about discerning what your body needs using your body as your inner guide. Now let’s dive into the pros and cons of each and what I have found to be the best long-term solution for optimal health and weight loss sustainability. Both macro counting and intuitive eating offer flexibility to an extent. With macro counting you plan out your day of meals ahead of time eating whatever you want, as long as you hit your macros. The downside of this is that you could get carried away with your favorite comfort foods or packaged foods and not get enough micronutrients. With my clients, I teach the 80/20 principle so that no matter what, they are filling their meals with mostly whole foods, vegetables, and fruits so they fuel their body well, i.e. 80% of the foods that they eat. And then they can fill in the gaps with 20% comfort foods and treats so that they never feel deprived. When it comes to intuitive eating, you can eat whatever you want whenever you want based on what your body tells you it needs. This is much more of a freedom based approach to healthy eating. However, for some people that are used to restrictive dieting and counting calories, this can sometimes feel too unstructured, and in some cases, scary. When macro counting, you have the opportunity to learn what works best for you by tracking your protein, carbs, and fat intake. It’s a very analytical approach. If you have never looked at nutrition labels and the ingredients of the food that you are consuming, this can be an eye opening experience where you begin to see the macros on different foods. You see how, for example, high fiber foods, low-sugar foods help to keep you satiated longer. In intuitive eating, you learn how to listen to your body and what it is asking for. You really are the expert of YOU, believe it or not. Sometimes it is really important, during our journey to optimal health and sustainable weight loss, to give ourselves permission to be the ultimate expert of our own body. Sure we can utilize advice, medical care, etc to support us, but so many people get lost in the chase of answers outside of ourselves. As if somebody else MUST know better about what is best for us than we would! I don’t believe this is true. Now, this is not an overnight process and for most people, it is a process to learn the signals and wisdom of your own body, but given the time and attention, it can be so worth the patience and effort. Both also offer opportunity to feel in control… and out of control. Macro counting and intuitive eating are simply tools, it’s how you use them that can be helpful or detrimental. Either can get you to your optimal health and sustainable weight loss goals, however if you use them in a disempowering way, then they are ultimately going sabotage you. My own coach once said to me, “A knife is simply a tool. It can be used to create a gourmet meal masterpiece or it can be used to kill someone. It just depends on how you choose to use it.” This is gross and scary to think about, but it really gets the message across, doesn’t it? The important message here is that neither tool is a license to check out. Macro counting is not a license to eat cookies and packaged foods all day as long as you hit your protein, carb, and fat macros at the end of the day. You still want to eat whole foods and be sure you’re getting in your micronutrients. Intuitive eating is not a license to “listen to your body” and eat cookies and cake all day either because that is what you are craving (on the surface). Micronutrients are essential for optimal health, energy, your immune system, clarity of mind, and all the other stuff we want. Now, I will offer a caveat here. Sometimes, in our journey toward optimal health, we might need to go through a period of complete freedom, eating whatever we want, whenever we want. 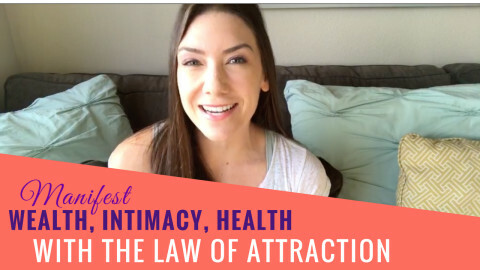 If you have been restricting for a really long time, this might be a bridge for you to gain the clarity you need about what you do and do not want in your relationship with your body and food. If you go through this phase, if you gain weight, if you stop losing weight, if you feel like you’ve lost your way, I want you to know you haven’t. You will find your balance and this phase will be a crucial part of what allows you to do that. So appreciate it and look for the lessons it has to offer. If you need help with that, my Rock Your Dream Body Feel Amazing course is a great place to start. Getting back to macro counting and intuitive eating, the truth is that neither is going to be your miracle cure. And both will most likely be a step, or a bridge, as I like to say, in your own evolution. With intuitive eating I have also heard women say that this was the cure that freed them from food obsession only to later say, but... I haven’t been able to lose the weight I want to lose. And the reason why I believe that someone might fail to achieve their optimal health or sustainable weight loss goals with either approach is because they forget what I just mentioned, both are a tool, not a cure. 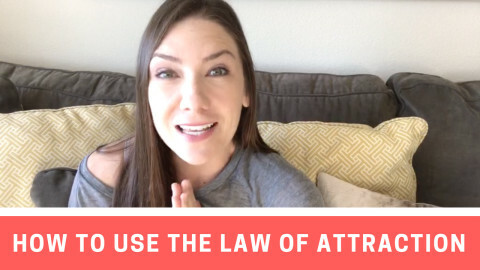 You must use both with intention and not outsource your power thinking that they are a magic pill. You must do the work to learn about your body in either case. You are the ultimate expert! As I mention, I teach intuitive eating mostly, but I weave in meal planning, macro counting, or whatever else is necessary for a client as the next logical step in her unique optimal health journey. This is what I call “Structured Freedom”, which is my signature non-diet approach that fuses food guidelines, accountability, analysis, and support WITH freedom, curiosity, and experimentation so that you can fine-tune and hone in on what works best for YOU! It’s a hybrid approach and I truly believe it is the only way to achieve sustainable long-term dream body results. I say ‘dream body’, because you get to define what that terms means for you. Need help? Head over to sheilaviers.com/shop and sign up for my free video series on how to break free from yo-yo dieting. Or, if you want more, you can get started with the Feel Amazing course or apply to work with me 1-on-1. Struggle with losing weight and keeping it off? 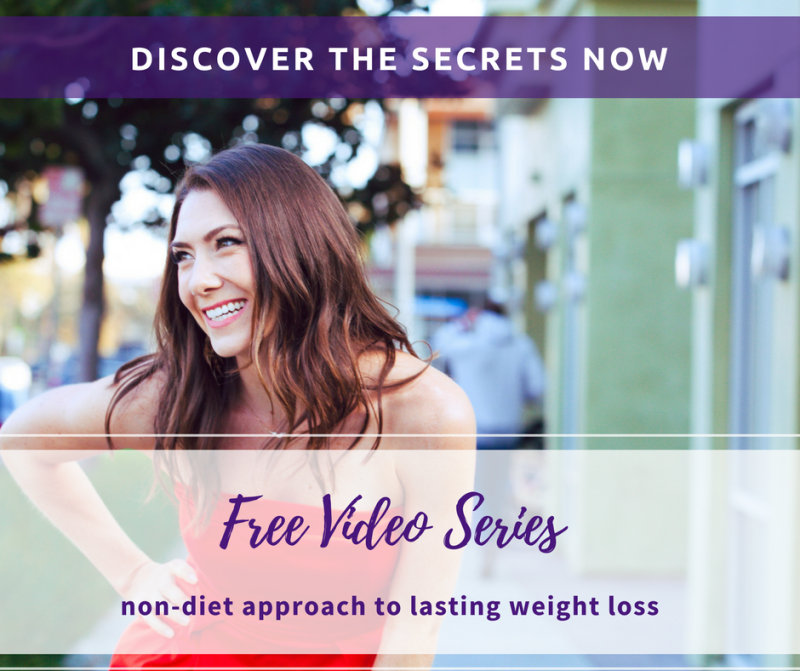 In this Free Video Series, I share 3 simple steps for setting up a balanced, sustainable plan for maximizing natural weight loss and health without restriction, deprivation, or working "hard". © 2019, Sheila Viers Coaching, Inc..